TRUGLO's range Rover Series has long been synonymous with premium single pin archery sights. Now there is even more reason to be enthusiastic about these beautifully simple and effective hunting tools. Innovative zero-in adjustment dial provides ultra smooth, remarkably precise Micro adjust elevation tuning, giving hunters an extra edge in difficult conditions. Hone your long distance accuracy with PWR-Dot's illuminated Center-Dot technology. 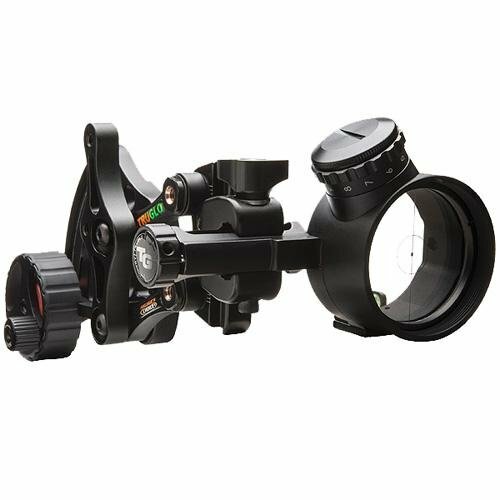 This innovative scope housing has a circle with Lighted center dot for superior long distance accuracy. If you have any questions about this product by Truglo, contact us by completing and submitting the form below. If you are looking for a specif part number, please include it with your message.